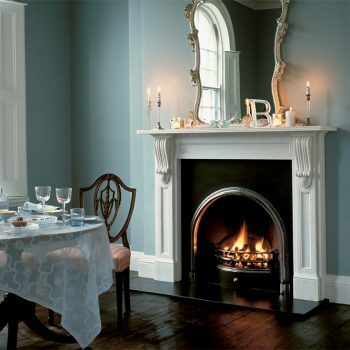 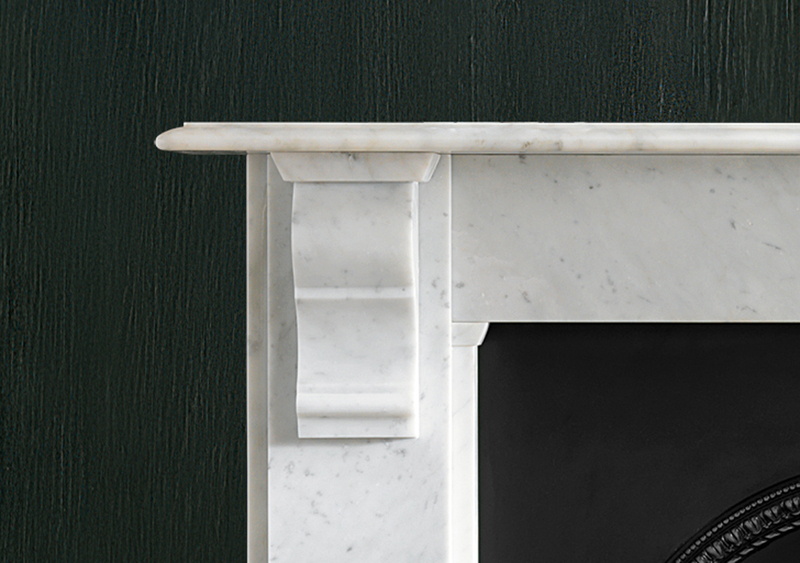 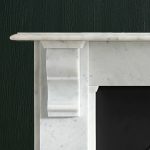 A popular late 19th century design with plain jambs and frieze and simple moulded corbel supporting a generous mantel shelf. 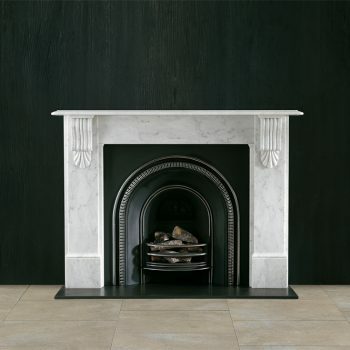 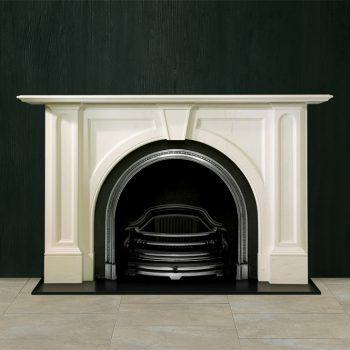 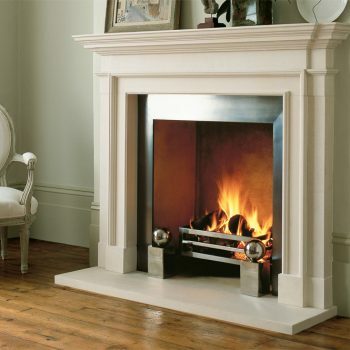 Standard production material is white marble priced as indicated. 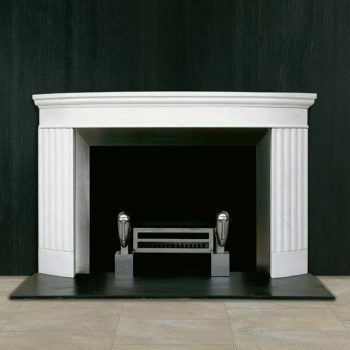 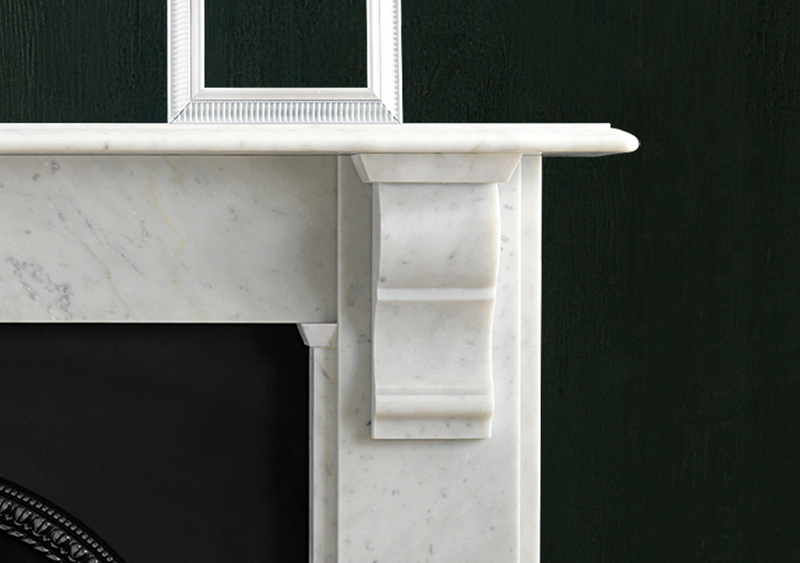 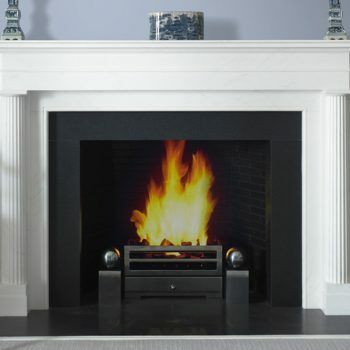 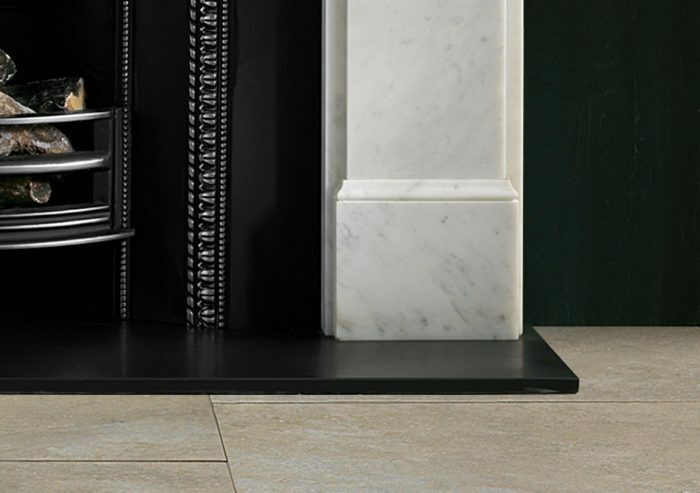 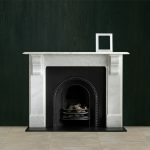 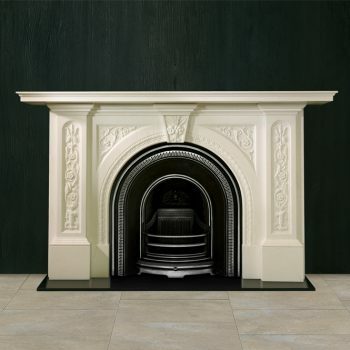 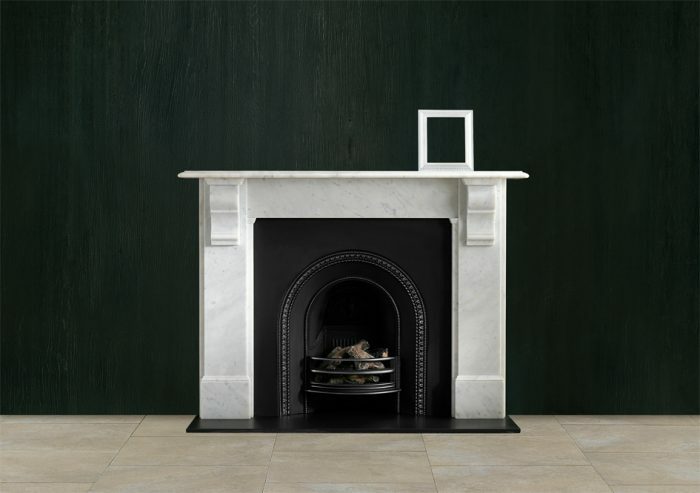 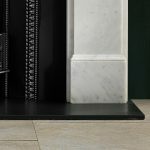 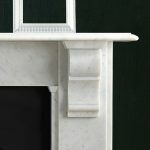 The image shows the surround in Carrara marble, available as a special order. Shown with the Britton No. 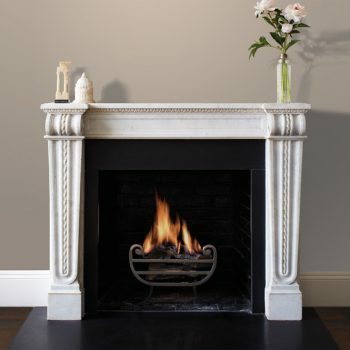 1 Arched register grate and black slate hearth.